Phulkas (also known as Roti or Chapati in some regions in India) is a thin puffed flat bread made with whole wheat flour (Atta). 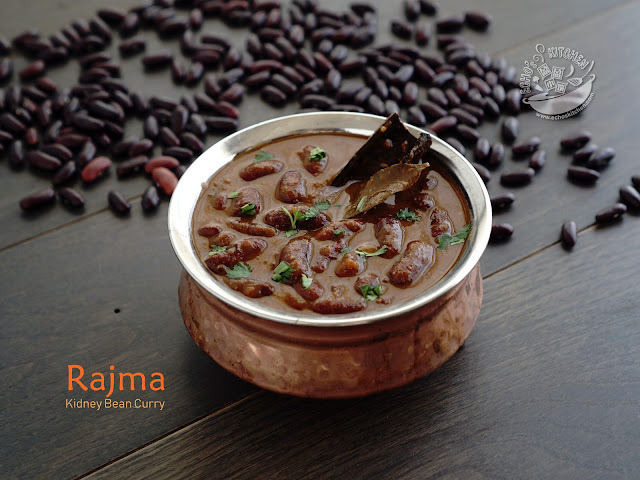 It is a daily staple food for many people in India, especially the northern regions. 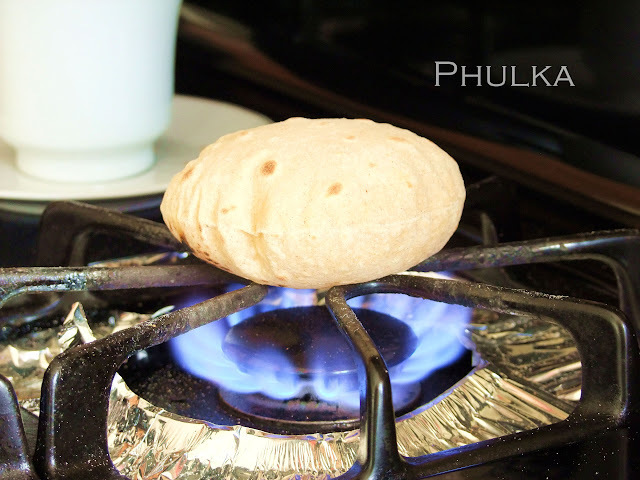 Rotis are traditionally cooked on tava (A flat iron skillet) and later place over direct flame to quickly puff it up. Growing up as a Chinese girl in Malaysia, I have never come across any homemade bread until much later in my teenage let alone preparing it. 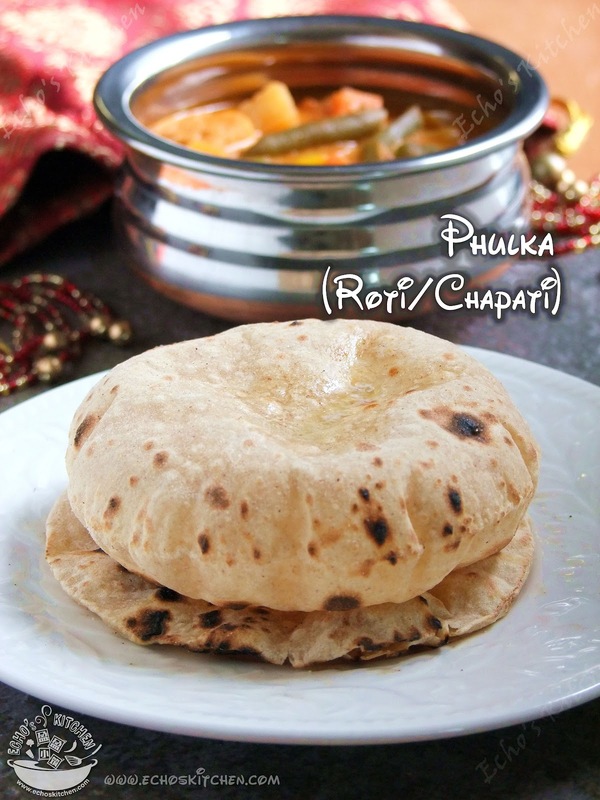 I started preparing homemade rotis when we moved to USA after marriage, I had to learn from scratch, took me months to learn how to knead the dough with right texture, another few more months to learn how to roll a somewhat presentable round rotis. My husband N had to eat so many failed attempts before it gets better. I can now say that I make pretty good rotis and made a short video on it. It does gets better with practise, that is for sure.